The Yamato Museum is the biggest museum in Kure, but it isn’t the most interesting looking museum from the outside, especially when compared to the Japan Maritime Self Defense Museum next door. 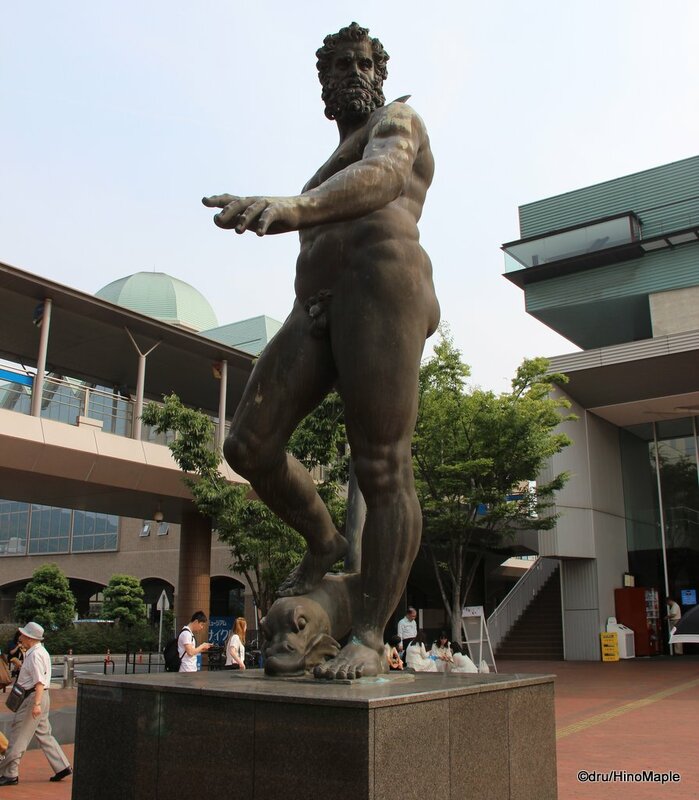 There is a large statue of Poseidon to greet you as you enter the main plaza outside the entrance. The lobby inside the museum is nice and spacious and the people are happy to help you get tickets at the vending machine to enter the museum. Once you get your ticket, you can immediately enter the museum. 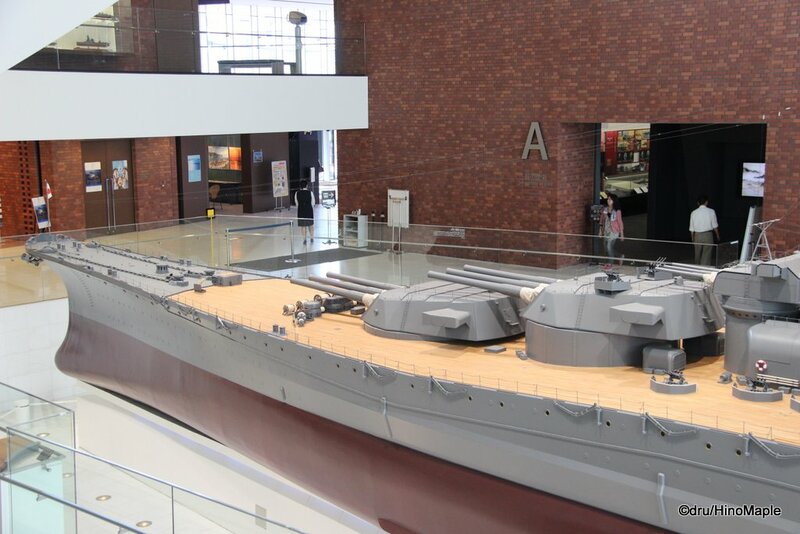 You are confronted with a huge scale model of the Yamato battleship. It is a 1:10 scale model that is 26.3m long. It is a HUGE model and very well detailed. You can actually go into a sunken area to get up close to the Yamato and you can head up the seating area to get different vantage points of the Yamato. 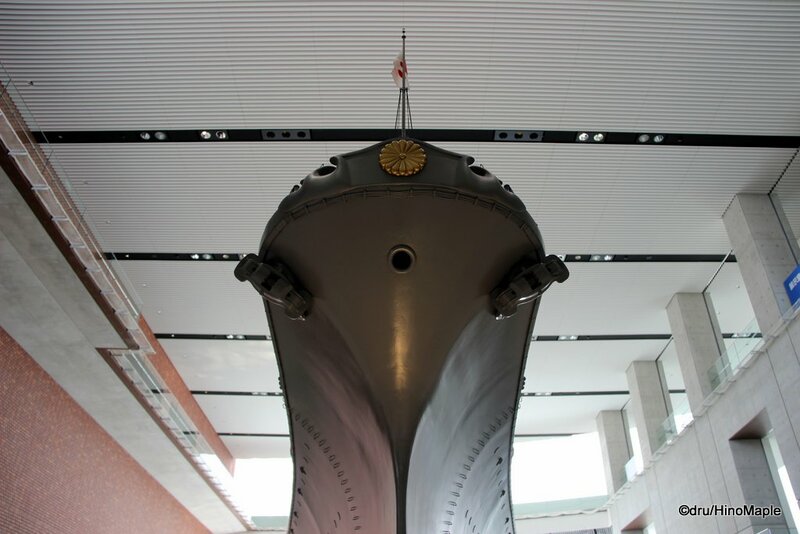 The entire museum is designed to go around the Yamato a few times. 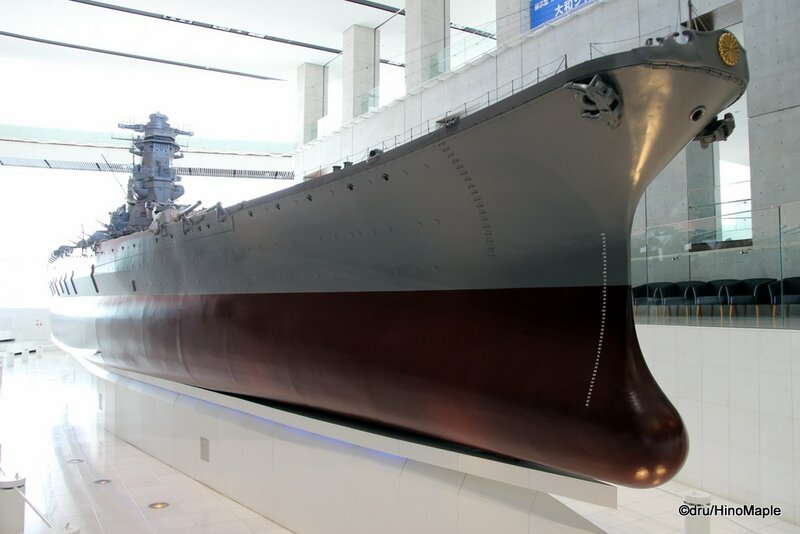 Once you finish looking at the Yamato, you can go to the “History of Kure” exhibit. No photos are allowed in this area and a lot of artifacts are connected with the Yamato. 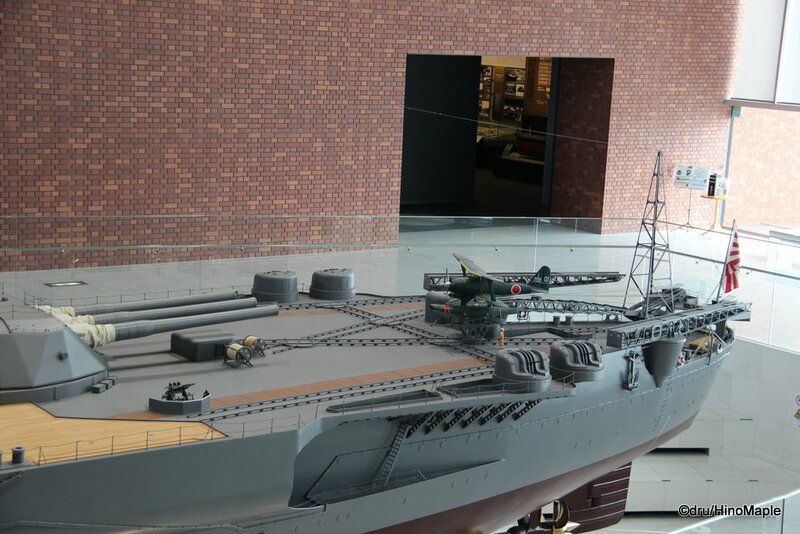 You can see various different artifacts from scale models of the boilers for the ships to scale models of the ships themselves. You can see uniforms and letters from various naval personal as well. I didn’t appreciate this exhibit as much as I should have because everything was in Japanese, so I couldn’t understand everything very well. 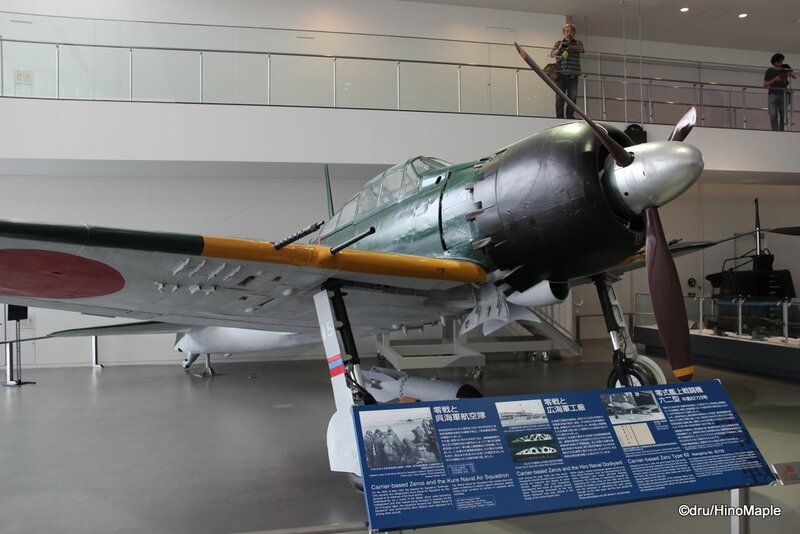 The “History of Kure” exhibit occupies one side of the Yamato. Once you finish, you head to the other side where you can see the “Large Objects Exhibition Room”. I really enjoyed this room because it has the infamous Zero. The Zero was used in the war as a suicide bomber. There is also a Kaiten, or a suicide submarine. 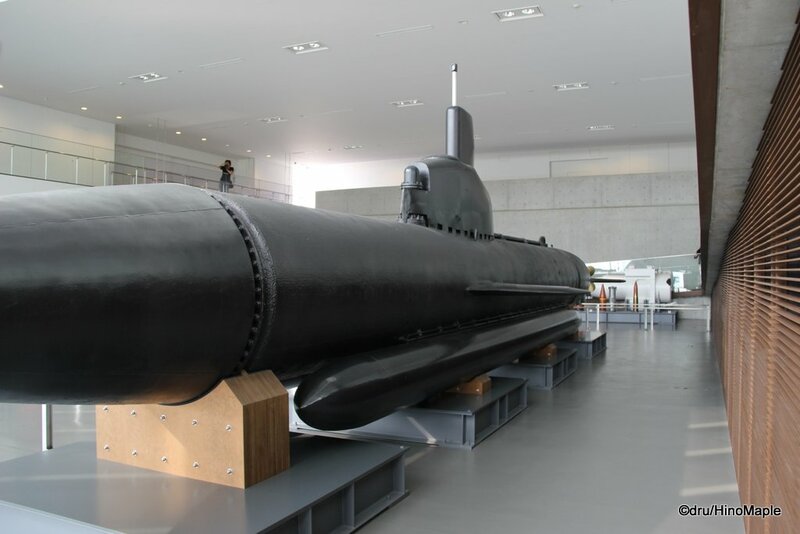 They are also called human torpedoes but at the time of visiting the exhibit, I didn’t know this. The submarine is large but the quarter for the single man crew was tiny. There was no room to move around and I guess they didn’t really need it. They just had to steer the sub into the enemy ship and that was that. After you visit the “Large Objects Exhibition Room”, you head up to the 3rd floor. You progress up a sloped incline and then you can enjoy views of the Yamato from a higher perspective. It allows you to see more of the Yamato from overhead and see more of the details of the ship deck. From the 3rd floor, things start to get a little less interesting for adults. The 3rd floor has “Ship Building Technology”, “Experimental Work Room”, and the “Future Prospects” room. The first two are situated in a large open room which is great for kids. There are many hands on exhibits for kids to learn and understand about science. For adults, if you know how it works, it won’t be difficult to understand it and finish the area quickly. The “Future Prospects” room was similarly as interesting. On the 4th floor, you can head outside to the observation deck. The observation deck was really nice but kind of bare. I enjoyed getting a chance to see the area but the observation deck I visited was on the wrong side of the building. It faced towards Kure Station. I was able to enjoy the views of the JMSDF Museum across the street but I wasn’t able to see the port. If I had more time, I would have enjoyed a little break on the terrace instead of rushing off. The Yamato Museum is a nice place and I am glad I was able to visit. I don’t think of it as a great place and it is definitely not a must see in Japan. For someone who has been to Hiroshima many times, it is a place to visit if you are running out of things to see. There is so much to see around Hiroshima that it is surprising. The more I learn the more I understand why I can keep returning to Hiroshima over and over again, and the Yamato Museum is one of these reasons. 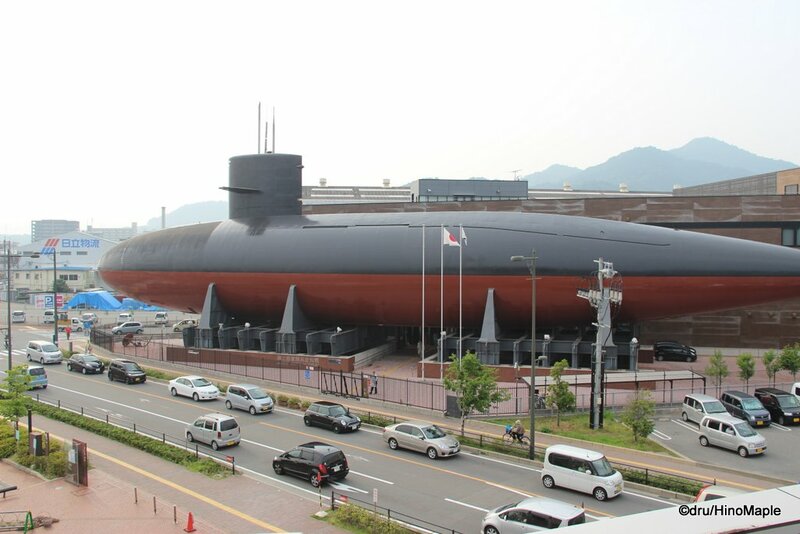 This entry was posted in Boats, Chugoku and tagged Battleship, Battleship Yamato, Hiroshima, japan, Japan Maritime Self Defense Force, JMSDF, Kaiten, Kure, Mitsubishi, Navy, Yamato, Yamato Museum, Zero, Zero Fighter by Dru. Bookmark the permalink.